CHICAGO (Reuters) - Top Zika investigators now believe that the birth defect microcephaly and the paralyzing Guillain-Barre syndrome may be just the most obvious maladies caused by the mosquito-borne virus. 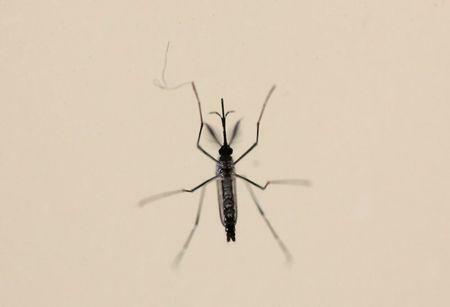 Evidence that Zika's damage may be more varied and widespread than initially believed adds pressure on affected countries to control mosquitoes and prepare to provide intensive - and, in some cases, lifelong - care to more patients. The newly suspected disorders can cause paralysis and permanent disability - a clinical outlook that adds urgency to vaccine development efforts. "What we're seeing are the consequences of this virus turning from the African strain to a pandemic strain," said Dr. Peter Hotez, dean of the National School of Tropical Medicine at Baylor College of Medicine. "If you have a virus that is toxic enough to produce microcephaly in someone, you could be sure that it will produce a whole series of conditions that we haven't even begun to understand," said Dr. Alberto de la Vega, an obstetrician at San Juan's University Hospital in Puerto Rico. Other mosquito-borne viruses - including dengue, Japanese encephalitis and West Nile - are known to directly infect nerve cells in the brain and spinal cord. But such viruses are seldom associated with Guillain-Barre, and never with microcephaly, said Baylor's Hotez. Zika's arrival in Colombia in October 2015 was associated with another increase in Guillain-Barre cases. The country typically reports 242 cases of the syndrome a year, or about five a week. But in the five weeks starting in mid-December, Colombia reported 86 cases of Guillain-Barre, or about 17 a week.